HONG KONG, Jan 16, 2019 - (ACN Newswire) - More than 3,300 financial policymakers, financial elites and business leaders attended the two-day 12th Asian Financial Forum (AFF), which concluded yesterday. Co-organised by the Hong Kong Special Administrative Region Government and the Hong Kong Trade Development Council (HKTDC), the theme for this year's forum was "Creating a Sustainable and Inclusive Future", examining the current economic environment and gauging the views of participants through on-site real-time polling on issues such as the global economy, investment opportunities, and the risks brought about by technology and innovation. More than 700 one-on-one meetings were arranged during the AFF Deal Flow Matchmaking Session, helping participants to explore business and investment opportunities. 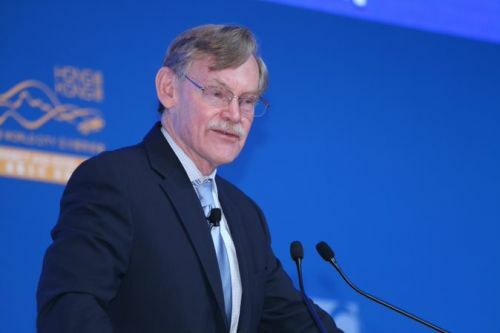 At the keynote luncheon on the first day of the forum, Robert Zoellick, former World Bank President, spoke about the development of Sino-US trade: "Trade negotiations between the US and China need both short-term results and a long-term process to address deeper concerns. Those issues include intellectual property rights, state-owned enterprises and the Belt and Road Initiative," he said. In response to the AFF theme this year, "Creating a Sustainable and Inclusive Future", the poll asked participants about the biggest challenge to achieving a sustainable future globally. A total of 43% of respondents believed it was due to "people's reluctance to trade higher cost today for better sustainability for future generations", followed by "reluctance by some governments to adopt policies for sustainable development" (23%), "insufficient attention to environmental, social and governance factors in asset markets" (21%), "lack of financially viable green projects" (10%), and "lack of green funding" (3%). This year's forum once again featured the AFF Deal Flow Matchmaking Session to provide one-to-one deal-sourcing and matchmaking meetings for project owners and investors. More than 700 meetings were held, covering projects including production and environment technology, fintech, digital technology, healthcare technology, infrastructure and real estate services, education, environment and energy, and agriculture. The sessions sought to foster more concrete cooperation between participants. The new FinTech Showcase, launched at this year's AFF, enabled international financial institutions and technological enterprises to present their innovative applications and solutions to the industry - a well-received session that helped companies to make the best use of new technologies. The InnoVenture Salon, launched last year and back in 2019 with an expanded scale and enriched content, included the Startup Zone, Fireside Chat, Demo Hours and Startup Clinic. More than 200 start-up projects were involved and more than 100 one-to-one meetings were arranged for start-ups to approach investors. 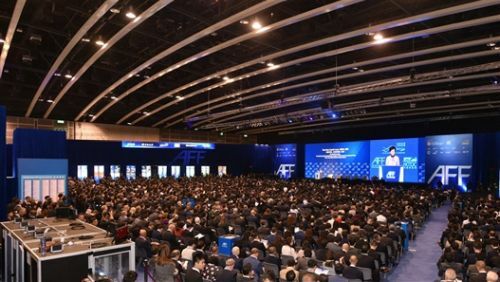 The 12th Asian Financial Forum (AFF) closed yesterday, having welcomed more than 3,300 financial policymakers, financial elites and business leaders. The two-day event was organised by the Hong Kong Special Administrative Region Government and the Hong Kong Trade Development Council. At the keynote luncheon on the first day of the AFF, Robert Zoellick, former World Bank President, commented on the development of trade between the United States and Mainland China. 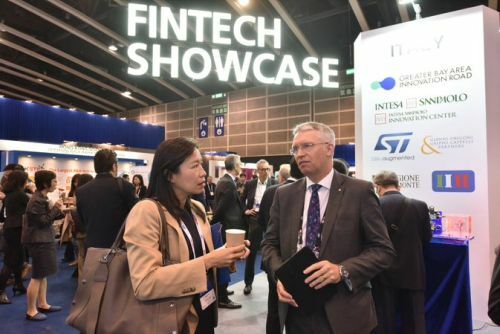 The new FinTech Showcase launched at this year's AFF, enabled international financial institutions and technological enterprises to present their innovative applications and solutions to the industry. The session was well received by participants.